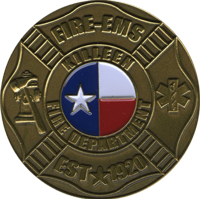 Is your fire department looking to design a challenge coin of their own? Look no further, Noble Medals is here to help! Regardless of whether your local fire department recently opened a new station, saved an important historical building or it simply has provided dedicated service for many years, making new fire department coins can be a meaningful way to express a sense of brotherhood, commendation, unity and to show each firefighter that their service matters. Few think about the importance of a fire department on a daily basis. Unless you have to call for their help, you likely don’t think about the significance of the work they do. Consider the long hours they put in, leaving their families for days at a time. Consider the danger in which they willingly place themselves, every day. Noble Medals considers these things and is honored to work with all fire departments to help make the best-looking challenge coin available! Our firefighters continually put their own lives at risk in order to protect our communities. Our customized fire department challenge coins are a unique and powerful way to convey the commitment that firefighters make. If you’re considering ordering some fire department coins in honor of a particular event, you’ve come to the right place. We customize our coins to commemorate any achievement or event. From celebrating 100 years of service to honoring a department’s heroic acts in the face of a deadly fire, your coins can say it all. We’ll help you determine the image to use, special phrasing and even whether or not custom shapes may fit your needs more closely than round coins. Regardless of the reason, we are sure that your coins will create a lasting impression. We try to keep our ordering process as simple as possible. 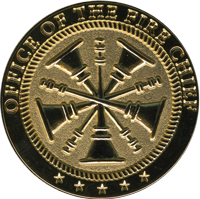 You give us the ideas you have for your fire department challenge coins and we will work to make them a reality while staying in your budget. What’s important to us is that we can have a small hand in honoring local heroes in a meaningful way.